Bullying and Harassment. How to deal with it. Human Rights, Dignity, Equality and Respect in the U.K. Relationships Part 1 - A Guide for Young People. 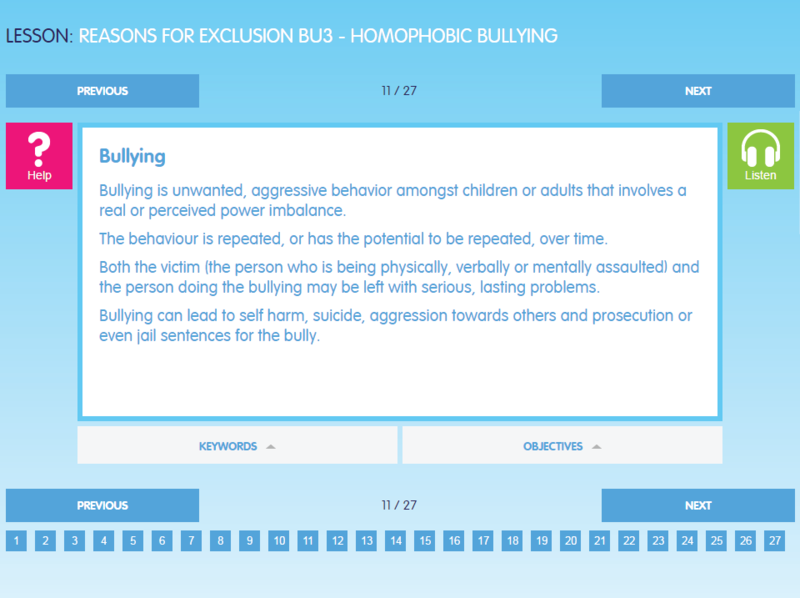 All our lessons have scenarios, tasks and questions to challenge the students learning and understanding of the severity of each behavioural aspect. All our lessons can be edited to be made relevant to your environment.